Can you imagine what it would be like to manage robots? Sure, if they were programmed properly, they’d be able to complete their assigned tasks on a regular basis. However, they would never be able to surprise you when their production spikes, or when they propose great ideas to improve your business, or when they incite a top customer to write a letter exclaiming how “your employees really went the extra mile”. Yes, your employees are not robots. They have passions beyond your company’s products and services. And how you deal with those passions can have an effect on the success of your company. Social Networks + Passions = Sales? Social networks such as Facebook, Twitter, and LinkedIn make it possible for someone to invest further into their passions. To combat the fact that those channels could distract an employee from work-related activities, there are still companies that strongly discourage the use of social media during work hours. They may even block access altogether. Francois Gossieaux recently told a story of a technician that worked for a company that produced expensive printing presses. He was also passionate about fly-fishing. With some help from his company’s marketing folks, he created an online community about fly-fishing. In his bio, he listed which company he worked for as well as what he did. But he did not actively promote that on the site. He did monitor and contribute to the fly-fishing site occasionally while he was on the clock. Often, this was only for a few minutes… but… should these activities have been banned? Well, guess what happened? 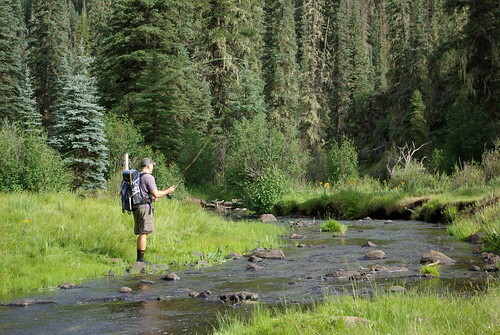 There was someone else in the world who had a passion for fly-fishing. Thus, he joined the online community. Eventually, he started chatting with the owner. They discovered a commonality — this member played a large role in his organization’s purchase decisions for printing equipment. When it was time to invest in a new press, guess who he turned to first? Are There Passionate Employees That Could Be Selling Your Products & Services? How much time should you allow employees to use social networks during work-hours? But I do know this — by sharing best practices for these sites, by demonstrating how the networks can help employees to stay on top of trends, to build relationships with customers, and heck, to further embrace their passions — social networks can have a positive impact on your company. Encourage employees to express their passions in context with your company’s mission — and maybe a technician might land you a big sale.